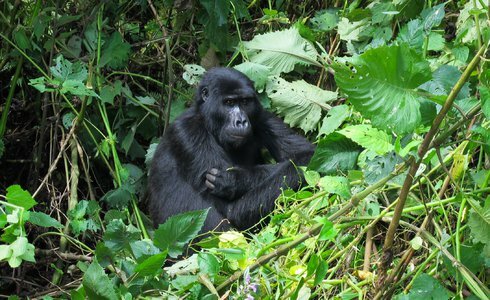 Enjoy thrilling up close encounters with the Uganda gorillas and set off on a 7 day Uganda safari tour with Safari365. Upon arrival at Entebbe International Airport you will be met by a Safari365 representative and transferred to the hotel, for the night on a bed and breakfast basis. After breakfast you will be met by your guide and depart for Queen Elizabeth Park. En route, have lunch in the in the vibrant town of Mbarara – the largest urban centre in Western Uganda and centre of the former Ankole Kingdom. From Mbarara follow the surfaced road via Ishaka towards the Kichwamba Escarpment which offers spectacular views over the Savannah Plains of the Queen Elizabeth National Park featuring one of Africa's largest mountain ranges - namely the famous Ruwenzori Mountains - in the background. Upon descending the Escarpment the road passes though the Queen Elizabeth National Park, here Uganda Kobs are abundant and there may be a chance to observe elephants or buffaloes in the distance. Upon arrival at the Uganda wildlife lodge embark on an evening game drive (time permitting) in the Queen Elizabeth National Park enjoying spectacular wildlife sightings of leopard, elephant, and various antelope species. 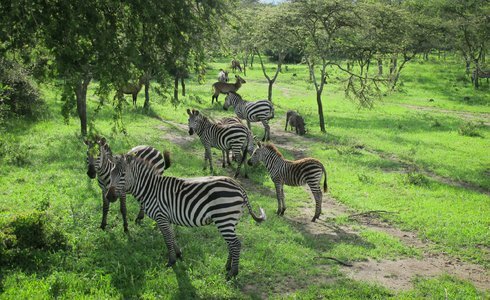 The Uganda safari continues the next day with early morning and afternoon game drives into the prime game viewing areas of Queen Elizabeth Park. However lions are most reliably sighted on the typical open East African Savannah Kasenyi Plain. This area is known as the main breeding ground of the Uganda Kobs on which the prides of lion prey. This morning, undertake a game drive in the Ishasha Plains in the South Western part of the Queen Elizabeth National Park. The Ishasha region is well known for its tree-climbing lion population and one may even see these predators in action. Leaving the Ishasha Plains behind, continue on a scenic drive through breathtaking scenery of rolling hills and terraced fields. Arrive at the Uganda Gorilla tracking safari lodge in the mid afternoon / early evening. After breakfast the following day travel into the Bwindi Impenetrable National Park, home to half of the world's population of mountain gorillas and the start of the Uganda gorilla tracking safari. A Uganda gorilla tracking safari is a truly captivating and unforgettable experience. 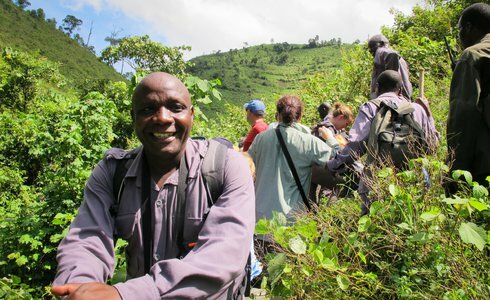 Leaving the famous Bwindi Impenetrable National Park, the Uganda safari continues to Lake Mburo National Park. 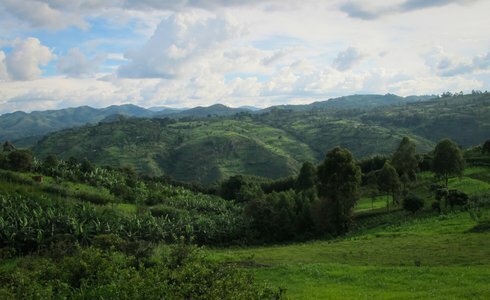 Depart (with packed lunch) towards the town of Rukungiri. From Rukungiri, travel along a surfaced road, passing the vibrant town of Mbarara – the largest urban centre in Western Uganda and centre of the former Ankole Kingdom. Upon arrival at the entrance gate of the Lake Mburo National park, observe the herds of Ankole cattle. 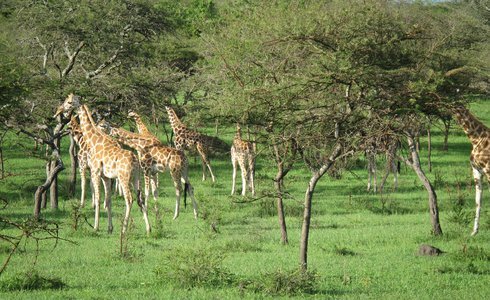 Embark on a game drive in the national park, en route to the Uganda safari lodge. After check in, enjoy a boat trip, featuring spectacular sightings of hippo, crocodile, buffalo, and various antelope, as well as over 300 species of bird along the shores of Lake Mburo. This morning's program is an early bush/game walk with an armed ranger and visit a natural salt lick, frequented by wildlife. In the course of the morning depart pass through a small settlement known for its Buganda Royal drum-makers and through a patch of medium-altitude rainforest, before reaching Kampala. Upon arrival in Kampala, transfer to the Entebbe International Airport for Your international flight, concluding your Uganda gorilla tracking safari.